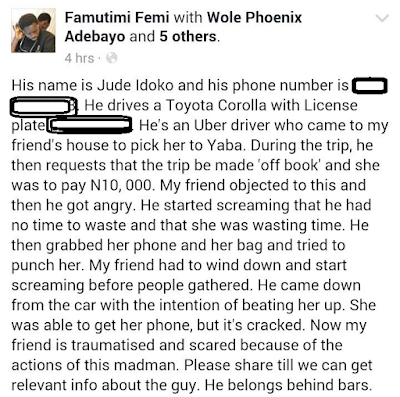 An Uber driver called Jude Idoko allegedly tried to physically assault a female passenger after he had broken her phone and it was only the timely intervention of passersby that kept him from carrying out further assault on the woman. 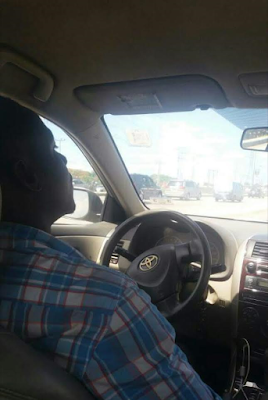 Jude, who drives a Toyota Corolla, had reportedly picked the woman for a trip to Yaba but during the journey, he demanded that the trip be made "off book" and she should pay N10,000. 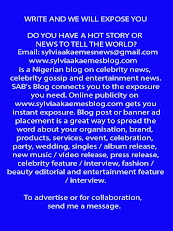 She refused and he turned aggressive. 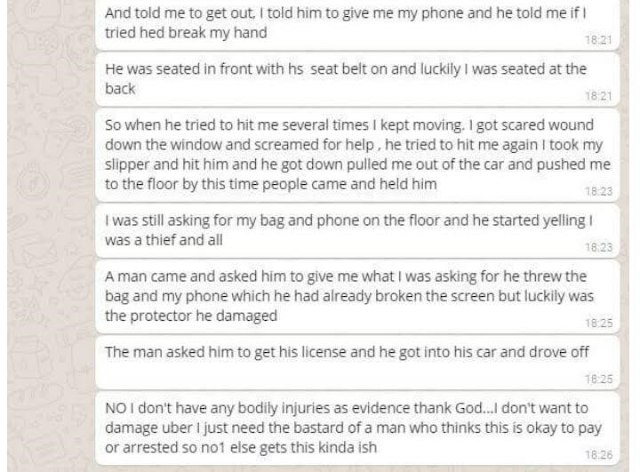 He grabbed her phone and bag then tried to hit her. 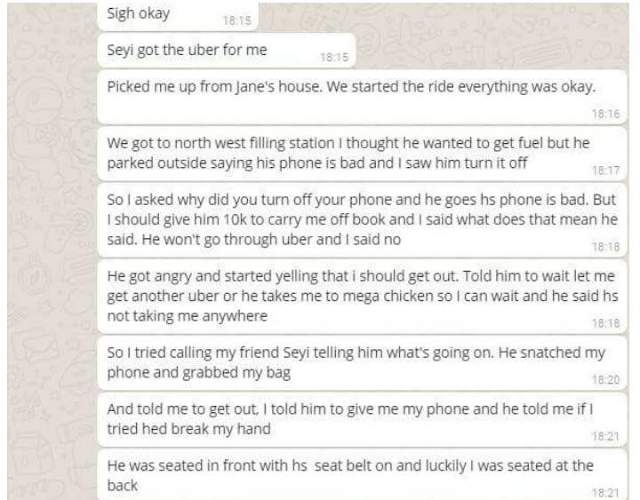 He only stopped because people gathered but by the time he handed over the phone, it was already cracked. The incident was shared on Facebook by a friend of the woman with the hopes of finding the culprit and making sure justice is served.